Two homes were damaged and one work shop destroyed in an early morning fire that started at 160 Boone Street in the Country Estates Subdivision Tuesday morning 26-August. At 1:45, 9-1-1 Operators began receiving reports of the fire in a work shop and a home located behind the work shop. Car 118 arrived to find the 20x40 block work shop fully involved and a single story residential dwelling approximately 30% involved. Click here for more information. ALL PERSONNEL: The Colleton County School District has identified some unsafe areas at the Cottageville Elementary School landing zone. Click here to see the information. 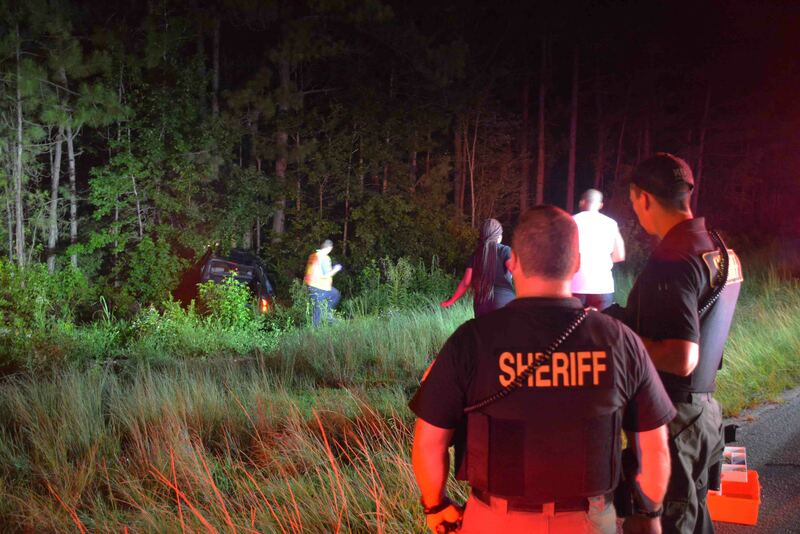 Eight people were injured, two critically in a single car high speed roll over collision in the 10100 block of Lowcountry Highway north of Memory Drive Tuesday evening 19-August at 21:48. The north bound 2001 Chevrolet Suburban left the roadway and overturned multiple times ejecting two occupants. The SUV came to rest on its wheels in a corn field on the dark stretch of rural highway. Click here for more information. A 26 year old man received severe multi-traumatic injuries in a high speed single car MVC in the 600 block of Chestnut Drive Saturday, 16-August. At 11:47, 9-1-1 Operators received several calls reporting a small in the ditch at this location, with a man trapped inside. Engine 19 and Medic 19 arrived four minutes later to discover the Honda Prelude with heavy damage. Click here for more information. 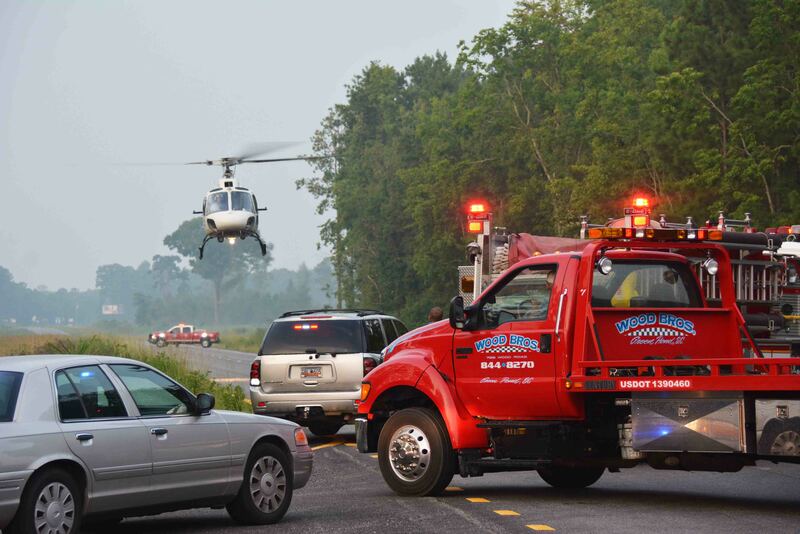 Four adults were injured in a single car MVC on I-95 near the 49 mile marker northbound, Monday afternoon 11-August. A thunderstorm had just passed through the area, making the Interstate slick. At 15:22, witnesses advised the northbound Ford Focus station wagon lost control and went into a spin on the wet pavement. Click here for more information. 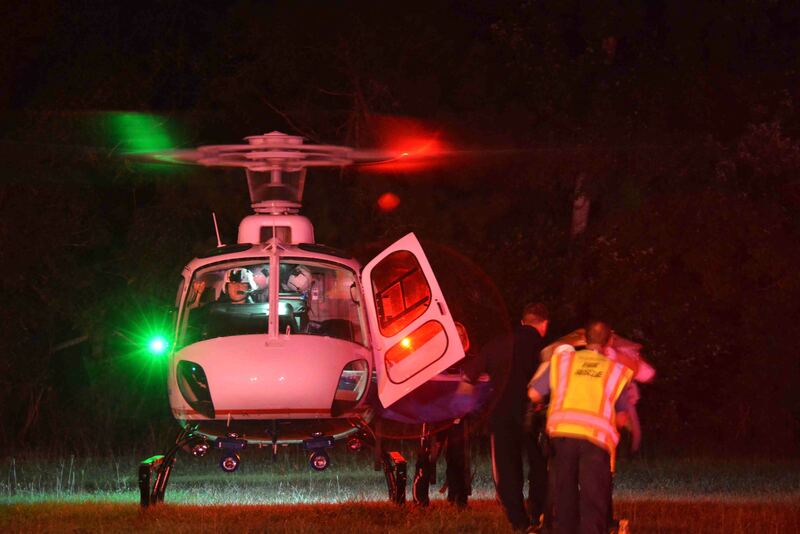 An eighteen year old Maryland girl was in critical condition after being ejected from a vehicle Monday morning 11-August. At 04:26, 9-1-1 Operators began receiving calls advising of a high speed rollover accident on I-95 near the 60 mile marker south bound. Callers reported a girl had been ejected and they could not locate her. Click here for more information. 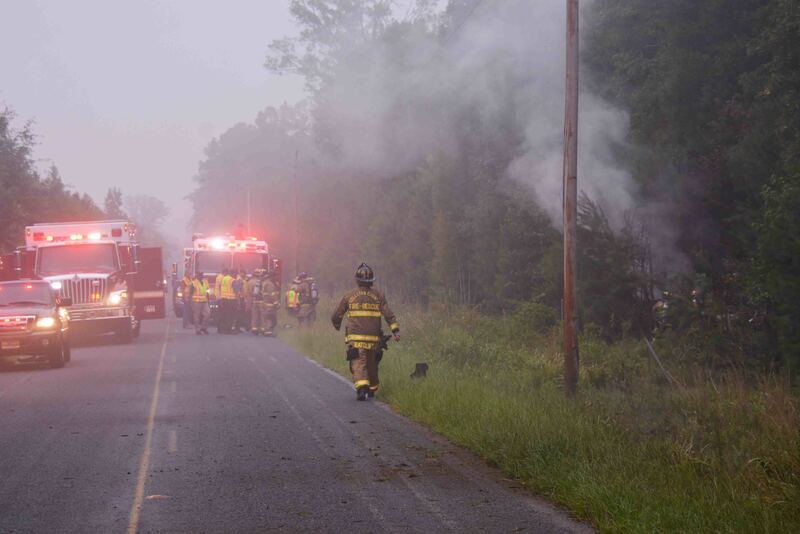 Fire-Rescue units were sent to the 400 block of George Warren Drive (SC Hwy 212) Sunday morning 10-August. 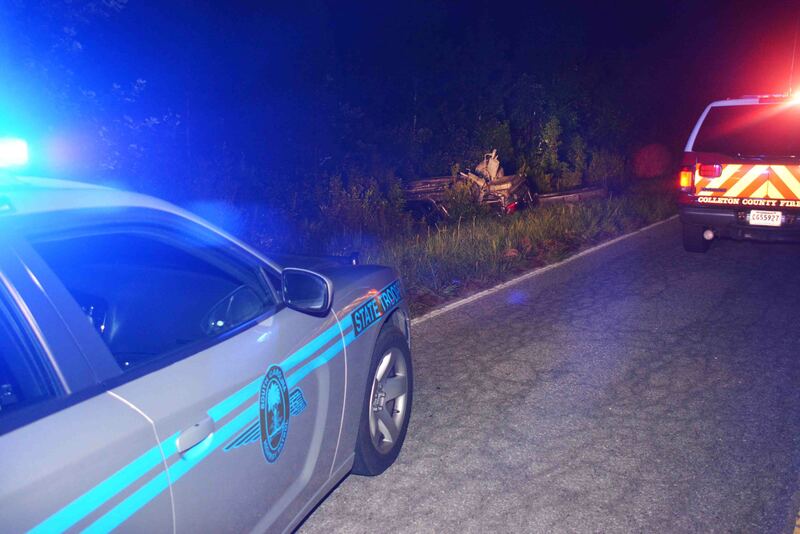 At 01:00 a caller reported a car over-turned in the woods with a person trapped inside. Medic 18 arrived minutes later but could not locate a patient inside or around the car. The Ford Mustang was found on its roof at the wood line and appeared to have over-turned multiple times. Click here for more information. 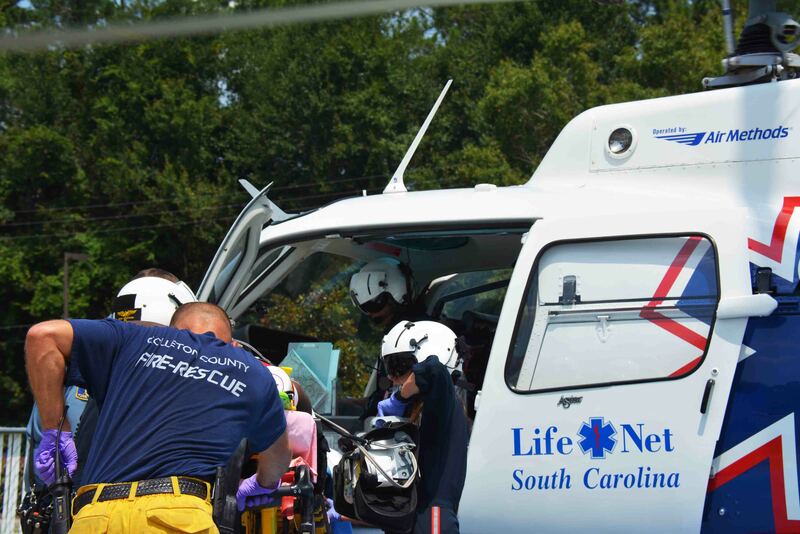 An adult male received multiple traumatic injuries when his Harley Davidson motorcycle collided with a passenger car at the intersection of ACE Basin Parkway (US Hwy. 17) and Ivenia Brown Road Friday morning 8-Aug at 06:01. 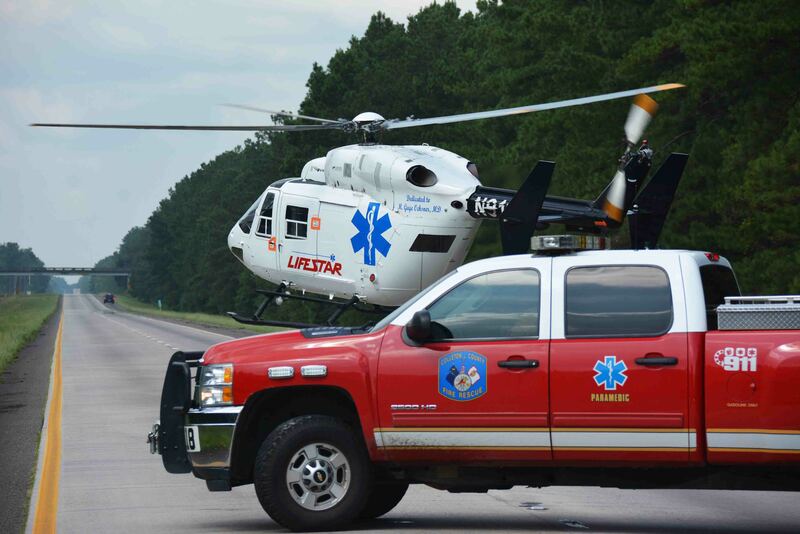 Medic 6 arrived five minutes later and requested a medical helicopter as they began treating the man. Firefighter-Paramedics performed advanced airway techniques to assist the patient’s breathing. Click here for more information. Two people were injured in a shooting incident at Classics Nightclub located at 2444 Robertson Blvd Sunday morning 03-August. Reportedly an altercation took place around 03:00 resulting in several shots being fired and pepper spray was said to be discharged inside the facility. A female victim was shot in the leg and transported by private auto to Colleton Medical Center. Click here for additional information. 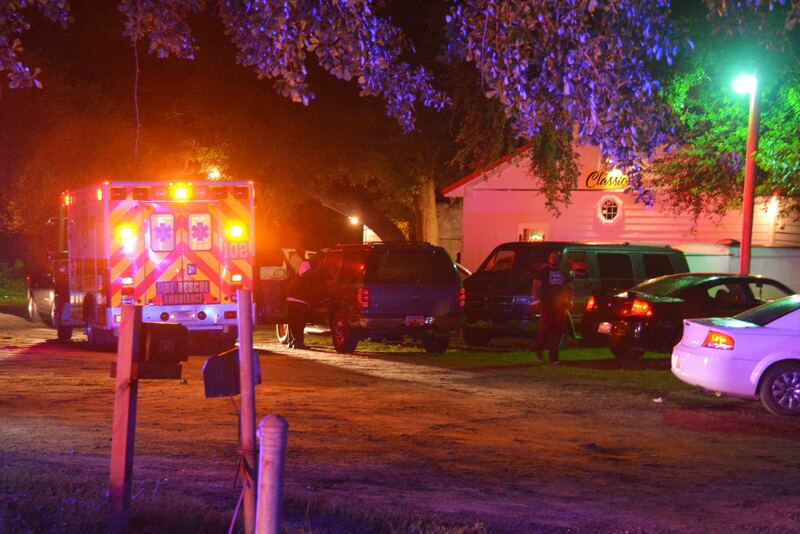 A high speed single car MVC claimed the life of a 20 year old Colleton County man Saturday morning 02-August. At 08:04 a motorist reported the overturned vehicle in the 4000 block of Featherbed Road. The caller advised the car was on fire. Fire-Rescue units arrived shortly after the call to find the 2002 Ford Taurus in the woods fully involved. 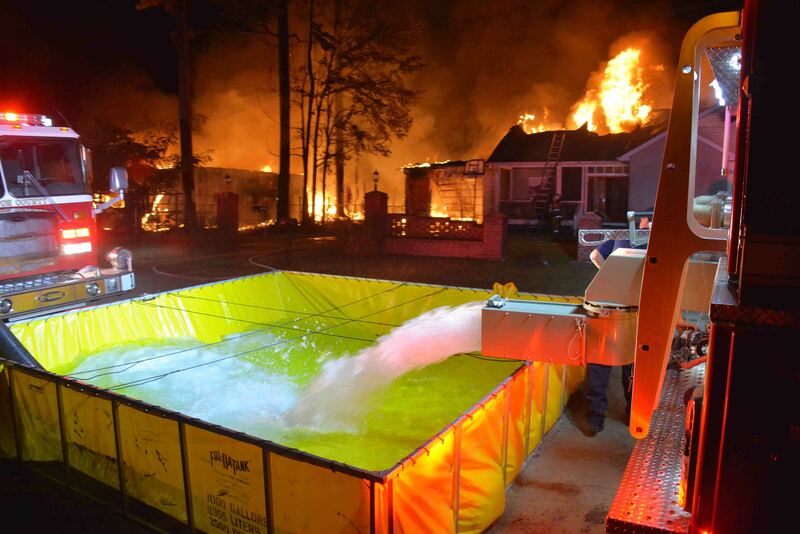 Firefighters deployed one 1-3/4 handline to extinguish the blaze. Click here for more information.